We've recently begun to sponsor this forum as an approved trader and the feedback, support, enquiries and general goodwill we have received has been phenomenal , big thanks to all members of this great community. This is the first in a line of topics I plan to run, inspired by the E-Commerce trend Just Pay Shipping- "Just Pay Fitting". As well as the group buy finishing tonight, I am hoping to use the forum to secure some GoPro runs for our products. As we are based in sleepy Bridport, Dorset, its always an uphill struggle to get fine cars down to our workshop, we aren't exactly central. A lot of the time I get great verbal feedback on our Porsche exhausts, particularly in Germany where we sell perhaps 60% of our Porsche stock to B2B customers. Unfortunately, we have yet to find a convincing means to get our distributors incentivised to get me the precious video footage we desire to help push our products and give potential customer's confidence. We are willing, able and insured to recover the vehicle if the drive down to Bridport is hard to find time for. Please PM me (Alex) if this offer is of any interest. Obviously, this offer is limited and is first come first served. Excellent stuff Alex. May I just add, had my back boxes on now for nearly 12 months and they're still sweet as! Quality gear off a quality company with both excellent products & customer service at the top of their agenda. TOP GEAR - NUFF SAID! Alex - that video (like the exhaust) is top notch! That’s again for the great deal. The service from the team was fantastic! As far as my view on this exhaust, here goes. I’ve owned the car for about a 18 months, and in that time I’ve been hunting for the best exhaust sound I can get, I’ve had several exhausts on this car and here is how they compare. - a little louder than stock, lots of cracked when sports mode is engaged. - Lots of distinctive crackles on overrun with sports mode engaged, more so than any other configuration. - The best exhaust of the lot! As an aside, I tried to video the exhaust myself this weekend using my new GoPro Hero 6. The suction mount gave way which caused the camera to dangle in front of the exhaust on the safety strap which was attached to the rear wing! Needless to say by the time I realised the camera had melted! - one expensive mistake! Do you guys modify the internals of a 987 rear box? Fancy getting my partners Boxster sounding better..
Buy another from Argos, then take this melted one back, just say it got hot and melted itself. 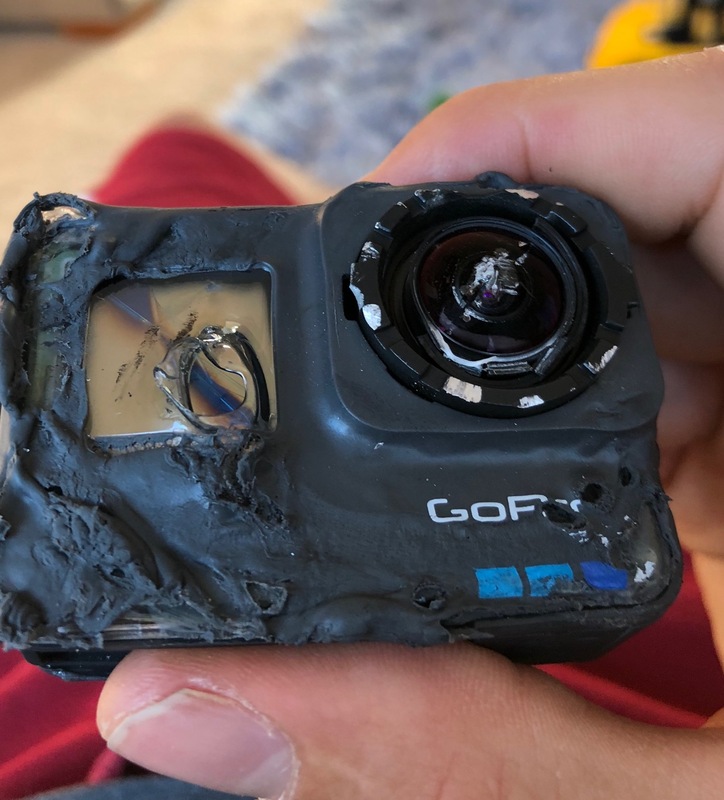 Some GoPro's (Hero4 Session) got too hot to touch so it's a well known fault. Daniel that is definitely something we can do. Short story is we don't typically offer it and have off-the-shelf products that might tickle your fancy. Long story is our primary background is owning and operating the two largest exhaust custom build networks in the UK so we actually make 100+ silencers every day from a webshop that offers our dealers over 4000 variations. Interestingly enough one customer on the recent group buy wasn't happy with the 987 system we supplied so we did end up modifying it to make him happy, all ended well on that front and modifying 987 silencers is something we've therefore done very recently. PM me what your after am 100% sure we can fulfil. Wow that is fantastic feedback and a great breakdown of the different exhausts you have tried. Sorry to hear about your fallen GoPro buddy!